He is one of a number of African heads of states who did not attend, which include Burundian President Pierre Nkurunziza and DRC President Joseph Kabila. 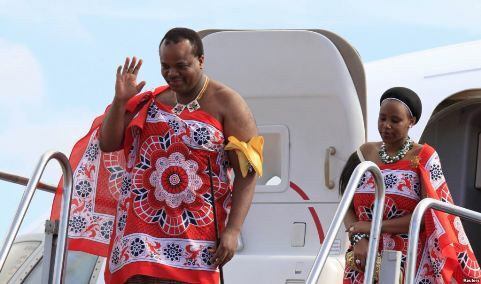 King Mswati of eSwatini has boycotted the two-day Forum for China-Africa Cooperation (Focac) summit which kicked off in the Chinese capital Beijing on Monday and concludes on Tuesday – due to a diplomatic spat with Beijing over Taiwan. South African President Cyril Ramaphosa is co-chair of the summit. Kung Mswati is one of a handful of African leaders who have not attended and in most cases have sent representatives on their behalf, Africa News reported. These leaders include John Magufuli of Tanzania who wasn’t present but sent his premier instead while Burundian President Pierre Nkurunziza sent his second vice president in his place. Democratic Republic of Congo President Joseph Kabila was represented by his prime minister. Eritrea President Isaias Afwerki also stayed home while Algerian President Abdul Aziz Bouteflika of Algeria was represented by his prime minister.